INDIANAPOLIS — Governor Mike Pence has honored 25 Indiana businesses for their longevity and service to their employees, communities and the state. 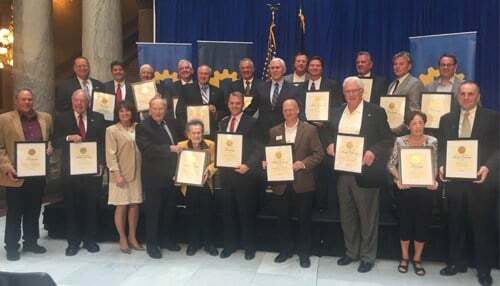 Pence presented the Governor’s Century and Half-Century Business Award to the companies Monday at the Statehouse. The awards honor businesses that have stayed in operation for a minimum of 50 or 100 consecutive years and have also shown a commitment to community service. The governor’s office says more than 1,400 businesses throughout the state have been honored during the 25-year history of the award.